Commerce and science aside, numbers have always been fascinating and essential to civilizations and societies all over the world; indeed some of our most profound symbols and expressions are numerical ones. 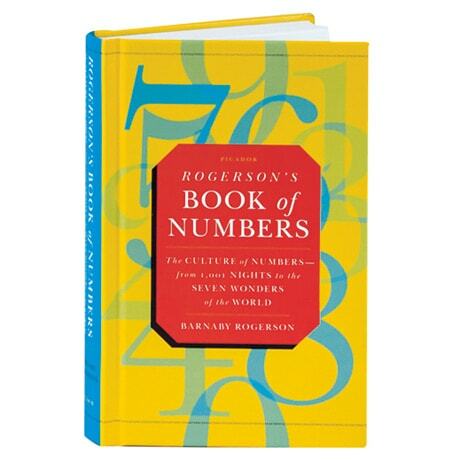 This delightful miscellany from author and publisher Barnaby Rogerson explores the significances behind everything from the number of the Beast (666) to the seven deadly sins, from the 12 signs of the zodiac to the four suits of a deck of cards. Find out why Genghis Khan built a city of 108 towers, how Dante forged his Divine Comedy on the number 11, and why 13 is so unlucky in the West whereas 14 is the number to avoid in China.